It is that time of the year when all big companies launch their Christmas ad campaigns, and the New Zealand brand of dairy products Anchor lined up, as well, but with an already known spot. 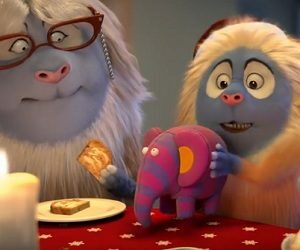 The 30-second spot, released before last year’s Christmas, features a Huggler kid playing with a little elephant received as a Christmas gift from his grandmother. This wouldn’t be a problem if the little elephant wouldn’t produce a very annoying sound, leaving to the Huggler mum no moment of peace and quiet. Not even in the middle of the night, when she’s trying to enjoy a slice of bread with a spread of Anchor. The commercial ends with the voiceover saying the brand’s tagline “That’s the Good Stuff”.